CCTV cameras will be installed in public places. 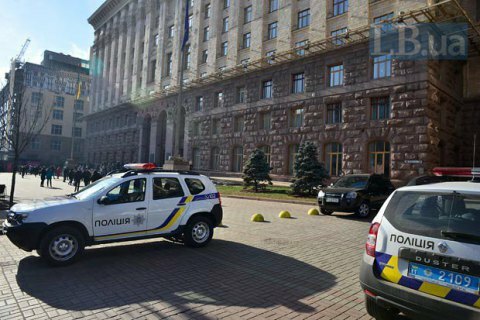 President Petro Poroshenko has instructed Prime Minister Volodymyr Groysman and Kyiv city administration head Vitaliy Klitschko to take measures to ensure proper public order and security. "Ensuring peace and security of all citizens should become a priority for the Cabinet of Ministers," the presidential website quoted Poroshenko as saying. According to the president, the killing of prominent journalist Pavel Sheremet in a car blast, which Poroshenko described as a ferocious terrorist act, committed in central Kyiv requires enhanced measures aimed at combating crime and maintaining public safety and order in the capital and regions of Ukraine. The president underlined the necessity of increasing the speed of response to crimes through the use of technical means of monitoring the situation in public places and installing video cameras in the most crowded places and areas close to them in all regional centers and if necessary - in cities and district centers. The president has also stressed the need for enhanced counteraction to the uncontrolled trafficking of weapons, explosives and ammunition. "Recent developments in Ukraine demonstrate an increase in terror threats and drastic deterioration of the criminal situation caused by the uncontrolled trafficking of weaponry, explosives and ammunition, and Russian aggression aimed at destabilization of social and political situation in the state," Poroshenko emphasized.